Today is the last day you can enter in my birthday giveaway. Please check out the details here. Lately, it hasn't felt much like winter here in Idaho. For February, we would usually have much colder, possibly snowy, wintery weather. But, milder temperatures have made me yearn for spring time, so these cards are for this very reason. 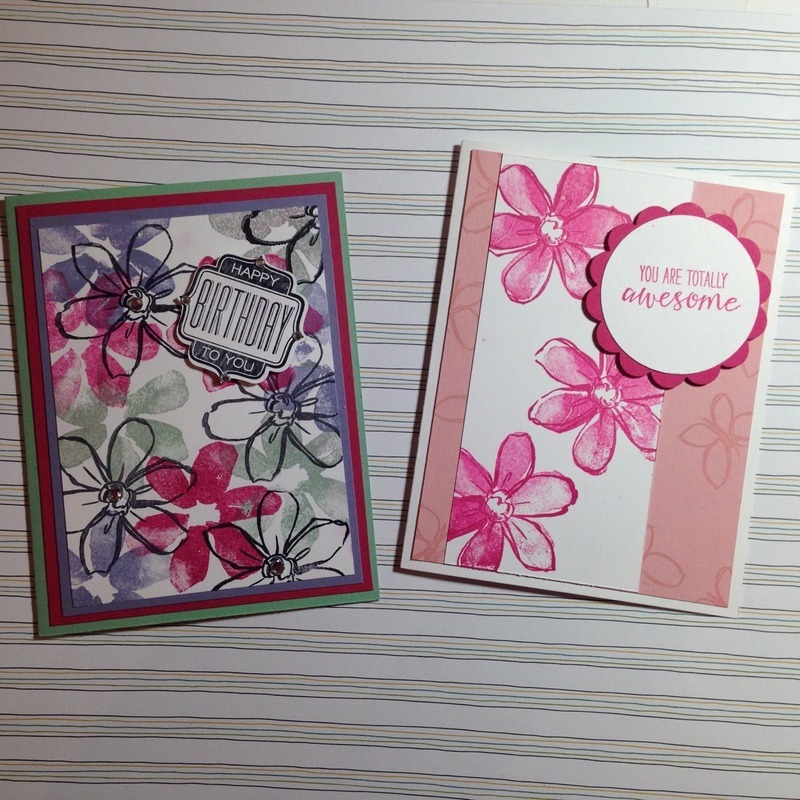 A few weeks ago, I demonstrated these 2 cards at a workshop a friend of mine held. 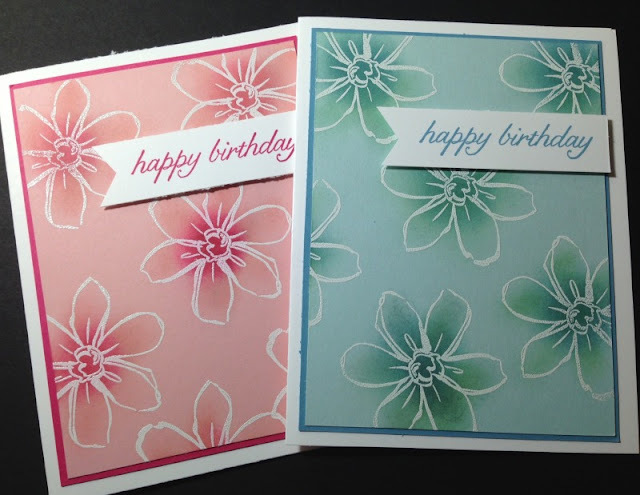 I really liked the easy way we layered colors to create 2 very different cards, and yet the base stamps are from the same stamp set. Garden in Bloom is one of my favorite sets, because it is very versatile. It works well with other stamp sets or just on it's own, because the set has everything you need. Plus, I love the option to do 2 step stamping. It also worked very well when creating this emboss resist technique. I CASE'd this card from one I found on Pinterest. I do like the way the ink pops behind the white embossed image. Super pretty, and also super easy. And once again, using the same stamp set. Loving these Cards, I haven't did the Emboss resist technique for at least a few years. Gotta do that again. Really enjoy seeing what you make.